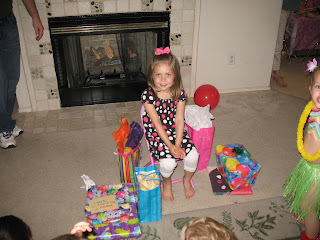 Haynes Family: Happy 4th Birthday Jaeden! Jaeden has had three days of birthday celebrations. Today was the last day. 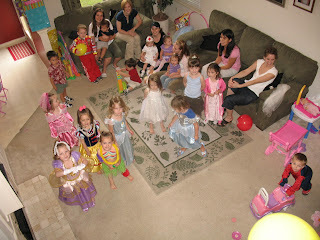 We had thirteen cute little kids over this morning for a "dress-up" party. They all looked so cute in their dress-ups. The girls decorated princess wands and the boys decorated crowns. Then we played duck-duck goose and ring-around-the-roses. Afterwards the kids got to take a wack at the pinata. It wasn't giving up so Dan took over and broke it for the kids. We had lunch, cake and present time. It was a lot of fun and we were so grateful for all the fun friends that were able to come and help celebrate Jaeden's birthday. Go party woman!! I am impressed!! 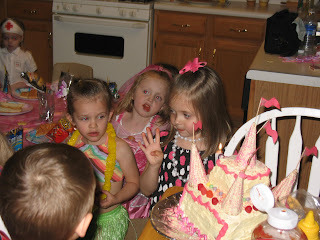 The picture of Jaeden next to her so super cute cake is totally you when you were four!! I love it! I love the flapper picture! So adorable!! The party was a blast! 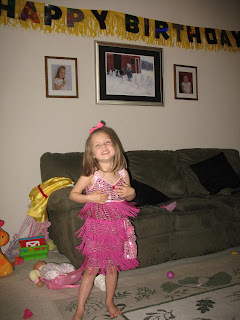 Thanks for taking a picture of Jaeden in her dress up flapper dress- I loved it on the hanger and it looks even more fabulous on her! Gotta love it! I can't believe it's been 4 years!! 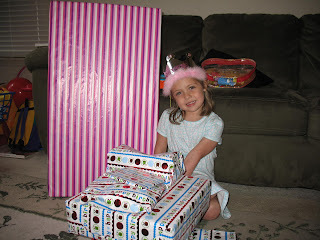 Where has that time gone. 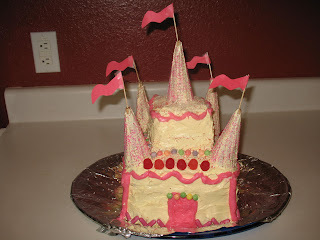 What a cute cake you made!! !